Boogie's tired today, so he's moving from nap spot to nap spot. Here you see him soaking up some sun. 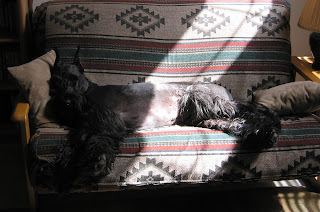 Because sometimes a warm sun spot feels good on a belly.